StarHub and the Ministry of Education have unveiled a video titled “Grades Before the Grades”, in a bid to bring families closer over the PSLE period and show that an exam result does not determine a child’s worth. BLK J was involved in the conceptualisation and production of “Grades Before the Grades”, which garnered over 158k views, 2.2k reactions, 1,864 shares and 111 comments on Facebook at the time of writing. In the video, the parents of Huamin Primary School students were asked to show their children how amazing they truly are, by grading them on attributes that matter most. These include selflessness, honesty and sense of wonder. 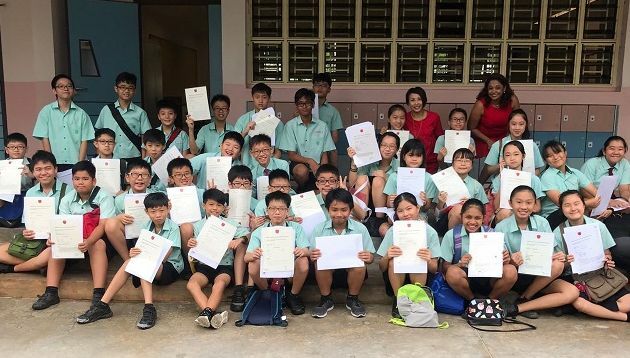 The grades were then presented to the children an hour before the release of their PSLE grades. The video received mainly positive comments, with some commenting that the video was touching and that it brought tears to their eyes. Others also agreed that the PSLE score is just a grade and does not define a child. “Grades Before the Grades” is a social extension of StarHub’s #LoveNoMatterWhat festive campaign, and the latter is the first campaign to adopt StarHub’s new vision and mission – creating happiness, inspiring change. “Being a longstanding advocate of stronger and happier family connections, StarHub hopes to reinforce the belief that children are more than just their examination grades. Our #LoveNoMatterWhat initiative seeks to inspire Singaporean parents to look beyond PSLE numbers and help their children see who they are matters more,” Howie Lau, CMO, StarHub, said in a statement to Marketing. “From day one, it’s been our ambition to build a real-time agency that is relevant to culture as it is happening. For this social campaign, we are stoked that our BLK J content unit wrote, produced, shot, edited and lived the social activation in under twelve hours. We had a ton of fun and are looking forward to creating more cultural interactions for our client partners,” Khalid Osman, creative co-founder of BLK J and director of “Grades Before the Grades”, added. The campaign aiming to portray diversity of functions for the FX-format D850, unfortunately lacked diversity in its photographer r..
LINE unveils to Marketing how it has been actively improvising its model to monetise user activity and participation, and how it p..